The charge was upgraded today. 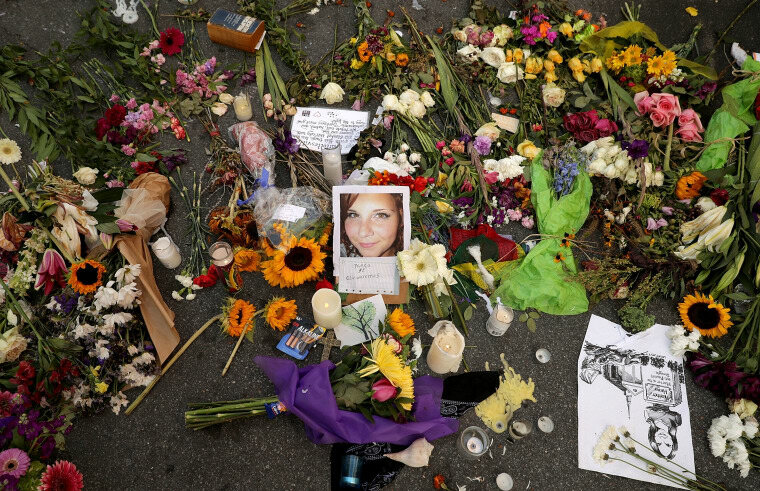 A judge has upgraded the charge against James Fields Jr., who police say intentionally charged his car into protestors during the white nationalist rallies in Charlottesville, Virginia, this summer, killing activist Heather Heyer. The 20-year-old Ohio resident now faces first-degree murder charges. The rallies, which were organized by white supremacist group Unite the Right, terrorized Charlottesville for two days, after beginning with marchers carrying lit tiki torches through the town on Friday night. Police allowed the fire, as well as the visible weapons the next morning, seemingly emboldening the demonstrators. Heather Heyer was killed in the afternoon. The activist has been honored by those on the left, and her mother, Susan Bro, in particular has made sure Heather's memory lives on in work against the people who killed her. In an interview with the Daily Beast, Bro revealed that she's had to hide her daughter's grave to protect it from neo-Nazis. According to NPR, the case against Fields will now move to a grand jury, where prosecutors will ask for an indictment.